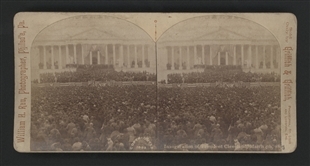 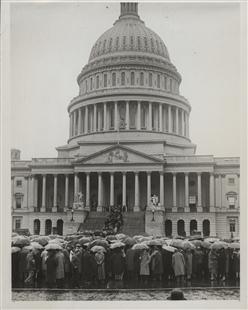 A series of views documenting President Taft’s inauguration were the subject of an “Edition De Luxe” from the H. C. White Company in 1909. 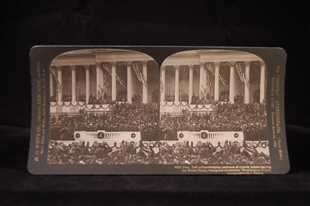 Stereoviews were customarily produced in thematic series and sold in groups. 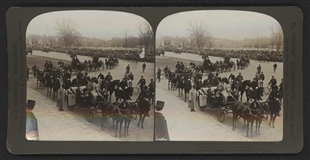 Special events were an increasingly photographed subject area by the turn of the 20th century; they replaced earlier, “tour” series that documented the sights to be seen in popular destinations, such as Niagara Falls or Washington, D.C.